AR isn’t new for Australians who have been exposed to high-tech and visceral partnership experiences for a long time. 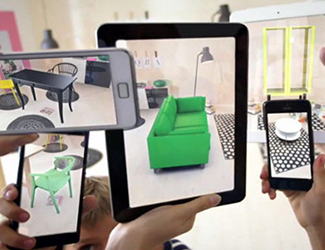 However, many retailers are yet to delve into the world of AR, but those who have, have seamlessly merged the real world with digital by layering AR with print. With IAB’s Cross Media Ad Effectiveness survey showing a 50% uplift in sales when partnering print with digital, retailers have an opportunity to marry AR to work alongside print and create a unique experience that completely immerses consumers in their brand.